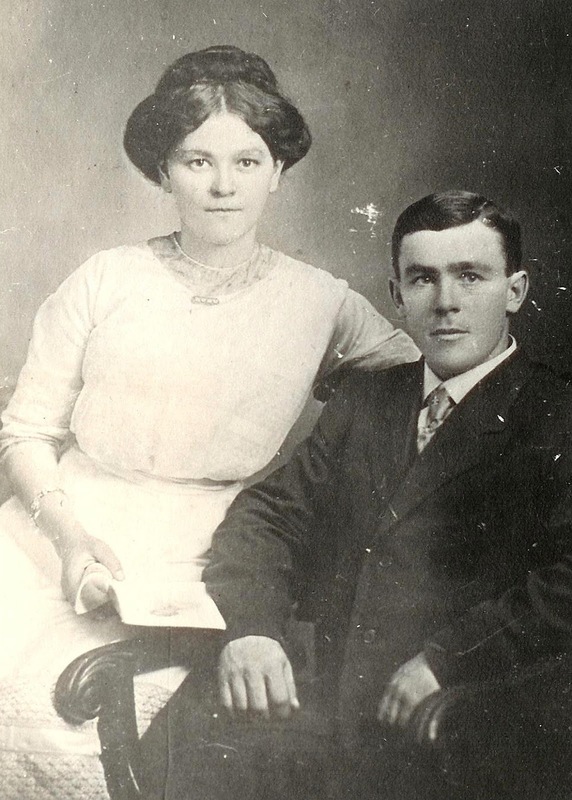 Exactly one hundred years ago, 1917, the eldest son of those pioneers, my grandfather, Leslie Giauque, left the homestead in the elbow of the Saskatchewan River to establish with his family a ranch in the Coteau Hills. Still in the family and now called the Diamond Dot Ranch, it is 100 years old this year! Here, from Mom's book again, is what life was like for grandma and grandpa and their young family in 1917 - a hundred years ago! But the beginning of the end had come for the ranch at the elbow of the river. Leslie's younger brothers, Hoy and Hubert, had enlisted for active service in World War I. Both had lost their lives. Before enlisting Hoy had homesteaded a quarter section of land in the Coteau Hills about sixty miles upriver from the elbow. Now the land reverted to the government and my father acquired it along with other lease land in that area. He bought, also, a quarter section of deeded land from a discouraged homesteader adjoining his lease. There he brought his family and there we continued to live for the thirty or so years that Leslie operated a horse ranch in the Coteau Hills. The first winter away from the old Giauque Ranch at the elbow, however, was spent on Hoy's homestead quarter. There was a dugout barn and a house sheltered from the wind by Maple Butte which towered to the north of them. That first winter at the new ranch must have been a nightmare for the young mother. She was city born, not of pioneer stock. Regardless, no one ought to be expected to bear the isolation which she was to experience. Early in December, by team and sleigh, Leslie left for the elbow homestead. He wanted to see that his mother was all right for the winter ahead. Also, supplies were needed for this own household. He planned to be away for ten days at most, but it was a little more than three weeks before he returned. It was the tail end of the year 1917 and a dreadful epidemic of influenza was beginning to take its toll. There was no way to get word to his wife that he had been stricken. She could only wait and worry, alone with three children. What would she do if he never returned? There were neighbours three miles away, an old man and his wife who never left her house. The man came once a day to feed and water the stallion in the barn, a chore that Gertie was afraid to do. Every day that Leslie lay sick he worried and far sooner than he should have done he left his bed and started back to Maple Butte. The sixty miles that would ordinarily have taken two days now took three for he was weakened by the illness. It was Christmas Eve when my father opened the door of his house and said, "Hello! Did you think I was dead?" Outside in the sleighbox there was a gift for everyone. 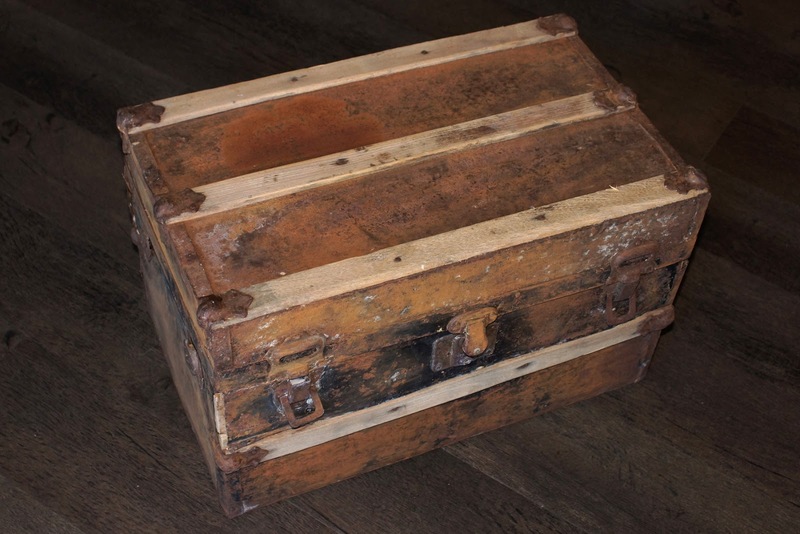 I remember only mine – a little wooden trunk. Chewed now by mice and discoloured by time, it is still somewhere in the old bunkhouse at the Maple Butte Ranch. The following year the family moved to a new and permanent location a little closer to High Point Post Office and to school but still a long way from nowhere. The nearest school was still seven and a half miles away. Like settlers everywhere, there was a great deal of visiting done during most of the year but the winter months were a lonely time for some of them, especially for the women. Everywhere the male population outnumbered the female. Also, the men were usually more mobile than were the women. Some were excellent riders as were the Giauque girls, but many, like my mother, never learned to ride. Neither did she ever learn to drive a car so her life on the ranch was very restricted. Most important to her was a nice home, something she yearned for all her life and never got until the last few years she lived. A dry roof over his head and three good meals a day sufficed for my father. Other than that, warmth and cleanliness satisfied his requirements in a home. Even so it had been with his mother, Rachel. Gertie and her children picked up dried cowchips to burn in the castiron cookstove and she hated every single minute of it. She polished the stove top to a lustrous sheen using the cloth with which she had wiped the greasy scum from inside her dishpan. But in most ways she refused to copy the ways of the women who lived out their lives in the west. She had come from a more cultured background and could not, or would not, adopt the new ways of the frontier. Consequently she was often lonely. Gertrude and Leslie Giauque on their wedding day 1912. 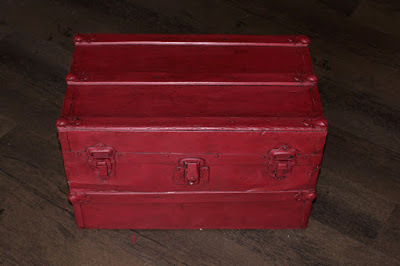 Remember that little trunk that grandpa brought home on Christmas Eve for my mother? I still have it. Several years ago I rescued it from the bunkhouse and refinished it. ﻿A hundred years ago, December 1917, a father bought this trunk for his daughter and it made its way by team and sleigh to a little ranch house in the Coteau Hills and into the hands of a little girl, my mother. Today it has a place of honour in my home. A hundred years ago, in 1917, the ranch known today as the Diamond Dot Ranch was established by my Grandpa and Grandma. Today that ranch is owned by my brother. A hundred years ago, 1917, Canada was a mere fifty years old! A few days ago, the nation celebrated Canada's 150th! How things have changed in a hundred years!